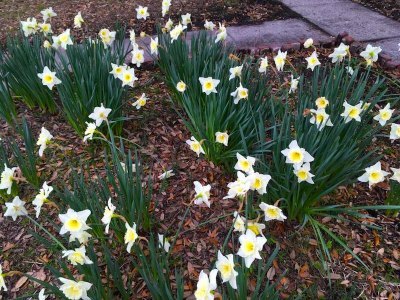 Spring is springing on Ocracoke and businesses are open for the season! 3pm: TDA Board meeting @ Ocracoke Community Center. The TDA is also known as the 2% board because they administer the new 2% occupancy tax being charged since January 1, 2018. The public is welcome to attend. 2pm: Hyde County Board of Education mtg. @ Community Center. The BoE will meet in person on Ocracoke! Public comment period is available. 6:30pm: Open Jam @ Coyote Music Den, 6:30-9pm – sing, play, listen – all ages, all levels welcome (youth are encouraged to come at 6:30). No charge, but donations welcome. 7pm: Occupancy Tax Board meeting @ Ocracoke Community Center. All are welcome to attend and listen to the presentations from local non-profits as they request OT grants for 2018-19. 6pm: OCAB Civic Affairs meeting -- POSTPONED. New date TBA. 7pm: Ocracoke Child Care Board Meeting @ Ocracoke Methodist Church in the adult Sunday School room. All community members with ideas, suggestions, or support for the plane to re-open the center are invited to attend. 7pm: Word Play @ Coyote Music Den, 7-8:30pm. If you love words … bring something you wrote, read, heard and share, listen or tell a story. No charge, but donations welcome. 7pm: Island Trivia @ Gaffer's. Just $2 to play! Proceeds will benefit Multiple Sclerosis research. Show off how smart you are for a good cause! 4pm: 35 Years of OPS Open House @ Ocracoke Preservation Society Museum, 4–5:30pm. Everyone is invited to come see new exhibits in the museum and new items in the gift shop. Andrea and Mary would love to have the whole community stop by and see the beautiful photos and items on display in celebration of OPS's 35th anniversary. 8pm: Live Music @ Coyote Music Den! Martin, Marcy, and Lou "Playing Your Ocracoke Memories" in the intimate listening roon of the Coyote Music Den in the Community Square. Every Friday night through November 26th. $15 adults/$7 kids under 12. Doors open at 7:30pm. Bring your own refreshments; soft drinks and water available for purchase. Services @ both churches: Ocracoke United Methodist (Sunday School 10am; service at 11am) and Ocracoke Assembly of God (Sunday School 10am, services at 11am and 6pm; also Wednesday night service at 7pm). Check out the Ocracoke Current calendar for more events and information! We're on Twitter and Instagram, too!